Description: Magnificent Obsession by Israel Torres. 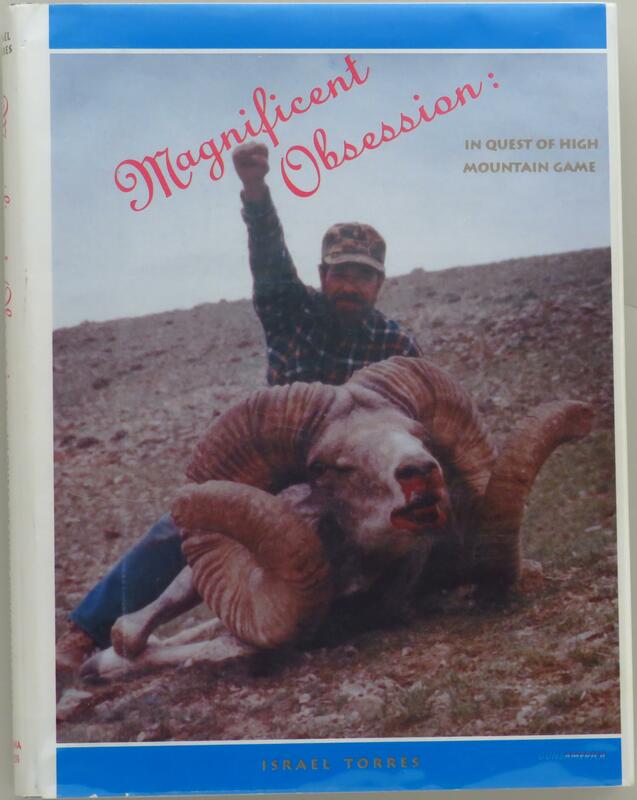 Published by the Diana Press in 1990 as a stated first edition as well as a limited edition (643/1250), it is signed on the edition page and also has an inscription to fellow author Duncan Gilcrest (author of Montana, Land of Giant Rams). This is a well done anthology with authors such as Bradbury, Brandt, Righetti, Scherrer, Yuren and Zeman. Leather and cloth binding. Near perfect condition. The price is firm. Proceeds benefit the Wild Sheep Foundation.